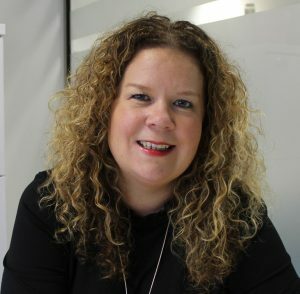 Julie manages the HR team for Care in Mind, in her role she is responsible for employee resourcing, employee relations, employee engagement, policy development and the overall HR strategy for the business. Julie joined Care in Mind in May 2016. She has over 15 years generalist HR experience working at roles within the NHS, not for profit charity and private sector. 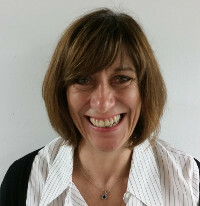 Julie has extensive experience working within Employee Relations for the NHS and has worked with local authorities and schools to develop and implement safer recruitment practices. Julie has a passion for staff engagement and has worked with several organisations to help them to achieve Investors In People status and develop reward and recognition schemes. Julie’s educational qualifications include a degree in Sociology and a Post Graduate Diploma in Human Resource Management (CIPD). In her spare time Julie likes to travel and is passionate about Turkey. She also enjoys going for country walks and eating out in the vast array of restaurants Manchester has to offer. 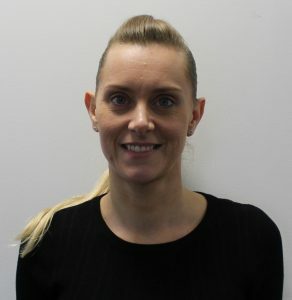 Dr Louise Atkin did her undergraduate and postgraduate training in Manchester and has worked as a Consultant Child and Adolescent Psychiatrist within the NHS in Greater Manchester and also in the Republic of Ireland. Her interest in young people with complex needs and attachment difficulties has more recently led her to take up her post within Care in Mind. She provides psychiatric care for all the young people as part of our multi-disciplinary team, undertakes assessments and is clinical lead for health matters within the organisation. She loves riding, was into punk as a teenager and is scared of heights. Lauren joined Care in Mind in June 2018 and started her career within the social care sector 14 years ago as a Support Worker. She has been in various management positions for the last 12 years, working with a range of service users including young people, adults, complex needs, mental health, learning disabilities and older people with dementia. Lauren has been in the role of Service Manager for the last four years and has wide experience of working in residential services, care homes and non-registered services. Lauren has a passion for exceptional quality of care and auditing processes with measurable outcomes and wishes to ensure we are thriving to working towards achieving outstanding in all domains. Lauren enjoys spending time with her family and eating out at a wide range of restaurants although can be quite picky with food. One thing that people don’t know about Lauren is she is unable to swim. Amy is our Partnership Development Manager, working as part of our Business Development Team. She works closely with Julie, Director of Business Development, managing customer relationships, contracts and communication and overseeing referral processes and marketing. Amy joined Care in Mind in October 2018. 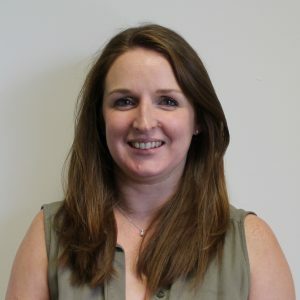 She has over ten years’ experience working in the health and social care sector having most recently worked for one of the UK’s largest independent mental health providers. Her experience covers inpatient and residential services across several service lines including mental health rehabilitation, personality disorder, acute/PICU, secure, CAMHS, and autism. Amy is passionate about developing positive relationships with key stakeholders in the NHS and Local Authorities. She also believes ensuring meaningful service user involvement in development and improvement plans is key in service delivery and ensuring young people are cared for in the best and least restrictive way. In her spare time, Amy enjoys spending time with her family and friends, good food and city breaks. She once skied off a mountain with a parachute – an experience not to be repeated any time soon!